and at the Braeside Clinic, Mountaintop, Letterkenny. Not in Donegal? Skype/Whatsapp/Zoom video appointments also available. 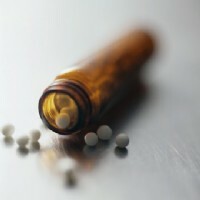 Homeopathy is a safe, gentle, potent route to the restoration and strengthening of vital health. It's a system of holistic medicine where remedies derived from natural materials are individually selected according to the unique characteristics of your condition. These remedies, once well chosen, stimulate innate self-healing abilities, strengthening your constitution from within. Specific disease symptoms are approached in the context of this increase in vitality. It is safe to use, including during pregnancy, with children and while using prescription medication. It is the world's second most practised form of medicine and the fastest growing. One in four Europeans chooses Homeopathy first for their healthcare needs (*). 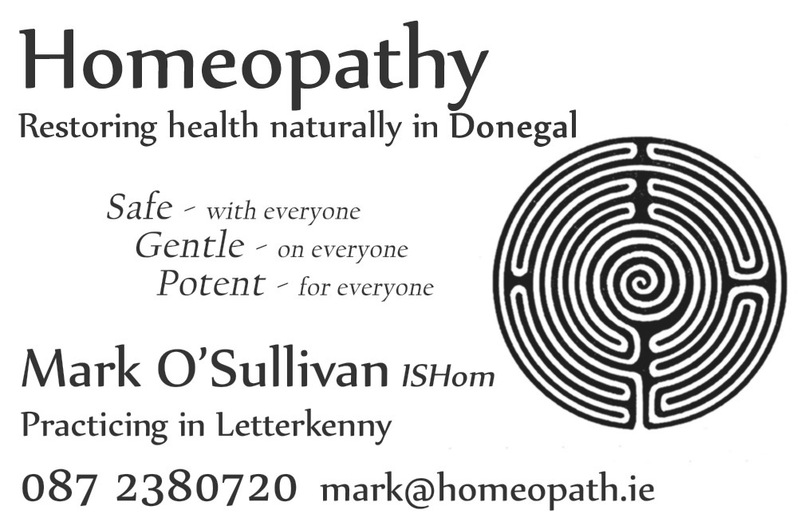 Mark O'Sullivan is a licensed, registered homeopath practicing in the therapy rooms at, Letterkenny Community Centre, And Braeside Clinic, Co. Donegal.nd online using Skype, Whatsapp and Zoom. Mark has successfully worked with a wide range of physical and psychological conditions in children and adults of all ages. Any symptoms are addressable using Homeopathy - acute or chronic. Mark's practice has so far seen many cases of, for example, kids with allergies, recurrent or persistent infections, behavioral issues and special needs. Adults with autoimmune conditions, chronic complaints, psychological issues and hormonal disorders. Homeopathy is entirely safe during pregnancy and for infants; As a parent and practitioner, Mark has supported pregnancy and beyond, for newborns and their parents, using Homeopathy. Handout on Homeopathy for the Garden - a special area of interest. Here's an article (PDF). Want to know more about the science and evidence behind Homeopathy? The Homeopathic Research Institute can help. The first consultation takes an hour, follow-up appointments take up to 40m. They're typically timed 4 weeks apart during ongoing support.